August « 2009 « Dr Deborah Swallow – Global Cultural Diversity..
What’s Your Country’s Corruption Perception Index? Bribery & Corruption: how things get done around the world. 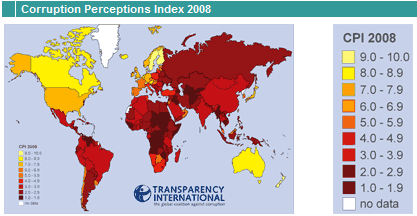 Since 1995, Transparency Internationl have produced a comparision of 180 countries by their perceived levels of corruption. Denmark is seen to be the least and Somalia the most corrupt currently. Check out your country’s perceived level of corruption. Can you find reasons to justify it? Where do you think the money/gifts go? Why could people from a ‘corrupt’ society be suspicious of you? Difficult questions to answer as your answers depend on the culture you are accustomed to. The trouble is, what is considered corruption in one country is perfectly acceptable in another. Also, we tend to ‘judge’ other countries by our own experiences and norms. When working in the Middle East, I was amazed to learn that those who come from a culture where ‘oiling the wheels’ (bribery) is comon place look suspiciously on those that do not adhere to that practice. They find it difficult to understand the motivation behind someone whose purpose is to carry out their job well – because it’s their job. Read about my experiences below and check out the Corruption Perception Index to see how corrupt your country is perceived to be in relation to the rest of the world. Whilst in Japan, I happened to find myself seated next to another foreigner who recognised me from the gallery event we had both just attended. We chatted amicably for a while … A little while later, he stood up to leave. “If you like art,” he said to me, almost as an afterthought, “you might be interested in this.” And he nonchalantly tossed onto my table his business card on which he had biro’d the details of some upcoming event he was attending. It wasn’t just the contrived nature of his networking spiel that made the exchange so unforgettable, it was in the small details. It was in the way in which he dealt his card onto the table rather than to me directly, minimising the chance that it might be rejected. It was in the fact that he waited until the final seconds of our encounter to produce it so that neither of us would have to endure the awkwardness of the moment. Before I had a chance to digest what was written on the card he had vanished. The exchange would have been amusing for any watching Japanese who are, of course, far more comfortable with the use of business cards, or ‘meishi’. 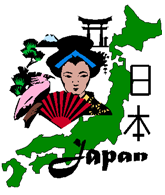 In the West, business cards are strictly for networking and careful consideration must be made about if and when to proffer the card – not so in Japan.